Approximate matching, especially on the byte level. Malware analysis with focus on Android malware. Mobile forensics targeting Android Apps. File / Data sets analysis with respect cyber security (see here). Are you interested in a collaboration? Send me an E-Mail, I’m looking forward to it. Dr. Frank Breitinger is an Assistant Professor of Computer Science at the Tagliatela College of Engineering at the University of New Haven, CT (ECECS department). His research is carried out in the University of New Haven Cyber Forensics Research and Education Group (UNHcFREG, http://www.unhcfreg.com) where he also acts as co-director. His teaching and research interest is cybersecurity and digital forensics. Additional information about him and his work is on his website (https://www.fbreitinger.de). Dr. Frank Breitinger received the B.S. degree in computer science from the University of Applied Sciences in Mannheim (2009, Germany), his M.S. degree in computer science from the University of Applied Sciences Darmstadt (2011, Germany) and his Ph.D. degree in computer science from the Technical University Darmstadt (2014). He was self-employed for 5 years, a visiting researcher at the National Institute of Standards and Technology to lead NIST SP 800-168 on Approximate Matching, and interned as a software developer for the University of Maryland and the sobedi GmbH (Mannheim, Germany). Since 2014 he is an Assistant Professor of computer science at the Tagliatela College of Engineering at the University of New Haven, CT (ECECS department) with a research focus on cybersecurity and digital forensics. He has published numerous peer-reviewed articles, chaired an international conference in cybersecurity in Manhattan and serves as a reviewer on several program committees. Additional information about him and his work is on his website (https://www.fbreitinger.de). Dr. Frank Breitinger is an Assistant Professor at the University of New Haven (CT) and has extensive experience in the areas of cybersecurity and Cyber Forensics. 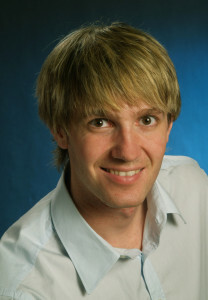 Before completing his PhD at the Technical University Darmstadt and CASED (Center for Advanced Security research Darmstadt), he attained his Bachelor degree at the University of applied sciences Mannheim and his Master degree at the University of Applied Sciences Darmstadt (all in Germany). In addition to his academic career, he was self-employed for 5 years, interned at the National Institute of Standards and Technology and worked as a software developer for the University of Maryland and the sobedi GmbH (Mannheim, Germany). The full resumé / CV is available here for download (please see date, for the latest version please send an E-Mail).